Comparing quotes is a really effective way of getting the best value for your budget. When you are Moving to Copenhagen, Denmark, you are investing a lot of time and money in to building and setting up a new life for you and your family. It can really help to have the expert assistance of an international moving company to support you in your relocation. Intlmovers is a handy way to compare quotes without having to go to too much effort. You only have to submit one request, and you can receive up to six replies directly from international moving companies that will help you with your move to Copenhagen. They will respond to you directly with a customized quote and inform you about your options with your international move. By using the drop down menu below, you just have to click on where you are moving from and moving to, and then fill in the short request form with a few details about your moving needs. Within a short amount of time you will have the information you need, the answers you are seeking and the quote that you requested. Compare and contrast offers and make your international move to Copenhagen much more stress free! The international movers have years of experience with moves to Copenhagen. No matter where in the world you are travelling to, it’s always handy to have information about your intended destination. Copenhagen is the capital and largest city in the European country of Denmark. Copenhagen is situated on the islands of Zealand and Amager. The city has one of the cleanest waterways in the world. It’s estimated that around 40% of Copenhagen residents use a bicycle for getting to and from work or school. Their growing use of pedal power in this bicycle friendly city is considered a valuable factor in the city’s low pollution levels. The city of Copenhagen has a population of around half a million people. Although the extended metropolitan area is estimated to have a population of nearly two million people. If you are a Nordic citizen, you are free to travel, study, work and live in Denmark. Denmark is a member of the European Union (EU). Which means that passport holders may stay in the country without requiring a special visa under the EU regulations on free movement. Denmark is part of the Schengen region, and makes use of the Schengen visa. That allows travel in between Denmark and other Schengen countries. This short term visa is generally valid for a period of three months. Visa application requests are handled by the Danish Immigration Department and managed by the Danish missions abroad. You will require the EU visa application form. Along with the Danish supplementary form, an approved passport photo and documentation around the reason for your stay. Similarly, residence and work permit applications for Denmark should be submitted with your local Danish embassy (mission). Norwegian and Swedish embassies are also able to process applications for Denmark. Please be aware that there are always changes to policies and procedures. It’s your obligation to ensure that you are travelling with the correct paperwork for living and/or working in your elected country. Copenhagen is a popular destination for people from London, Amsterdam and San Francisco. 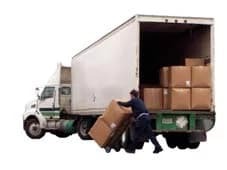 Whilst you will receive up to six quotes when you use the free services of Intlmovers, you are under absolutely no obligation to accept any of the quotes that you are issued with. The service is a quotation comparison service to assist you make a more informed decision by comparing your options, however you should only accept a quote when you are satisfied that it meets your requirements.